Malcolm Gladwell had the merit of being the first to debunk the myth of the genius and its innate talent in a mainstream book. With Outliers, he delivers a remarkable journalistic work asking the question: what makes the best and brightest achievers so different? What is the secrets of professional Canadian hockey players and software billionaires, why Asians are so good at math, or what are the stunning evidence behind plane crashes. Outliers is a great book and I was very delighted by it but if we consider newer publications, there are important issues that should be highlighted. As a journalist for The New Yorker, Malcolm Gladwell can hardly be considered an expert on the subject in the same way as psychologist K. Anders Ericsson. So, the book is not very personal and subject to inaccuracies. The most notable one concerns the second chapter about The 10,000-Hour Rule, based on a study by K Anders Ericsson who says top-experts spend an average 10-000 hours of practice before reaching the top-level. This fact was highly debated by the same researcher in his outstanding book, Peak, saying there is no rule. Some field needs few hours while achievers in others fields practice a total of 25-000 hours. Moreover, this is not just practice that makes perfect but a particular type called deliberate practice, the main topic of Peak that I strongly recommend you. Outliers could be described as a selection of evidences and researches to convince you that success don’t rise from nothing, but from hidden advantages and extraordinary opportunities and cultural legacies that allow you to learn and work hard and make sense of the world in ways others cannot. I cannot deny these evidences but I think the author places too much emphasis on it and fails to recognize the role of personal development, passion, and perseverance, to reach peak performance. For that, I definitively recommend the book Grit instead. In definitive, Outliers is still the most popular book on the subject but you should not start with it. You should only consider it after reading Grit , then Peak, to complement the subject with new interesting perspectives and different stories. 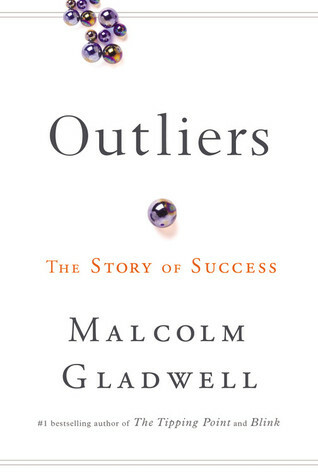 To end on a positive note, as Malcolm Gladwell outlines, the outlier, in the end, is not an outlier at all. Julien Sobczak works as software developer for Scaleway, a French cloud provider. As an avid reader, his main area of focus are developer productivity, mental literacy, and everything that resolves around personal development. Opinions are my own and don't reflect the views of my employer.